Slide Ridge Harvest Apple Honey Wine Vinegar is liquid sunshine, derived from one of nature’s purest foods – honey – and fermented with a custom blend of fresh-pressed Utah apples. 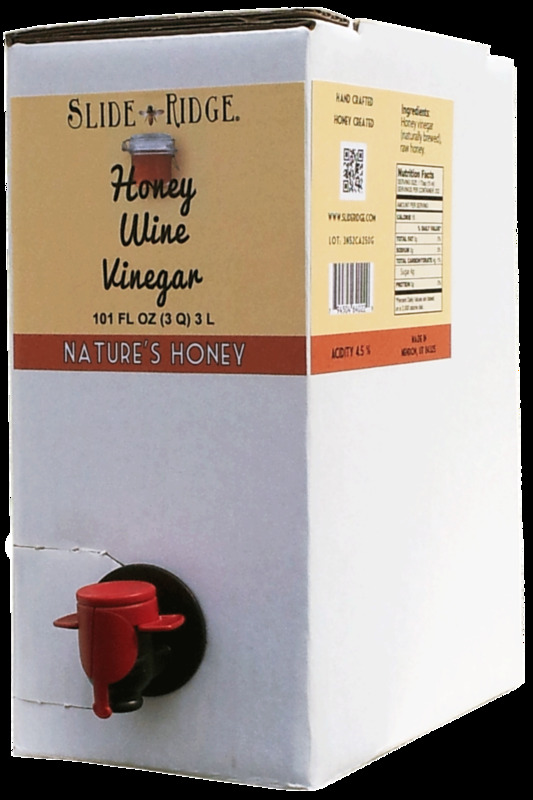 Our Honey Wine Vinegar brightens any table or dish, with a distinctive, sweet flavor smooth enough to enjoy on its own, yet strong enough to liven up your favorite recipes. Great as a simple yet flavorful low-calorie dressing, it also makes a great ingredient for dressings, marinades, glazes, sauces, desserts, and much more! Also Available in 8.5 oz and 3 oz clear glass bottles.